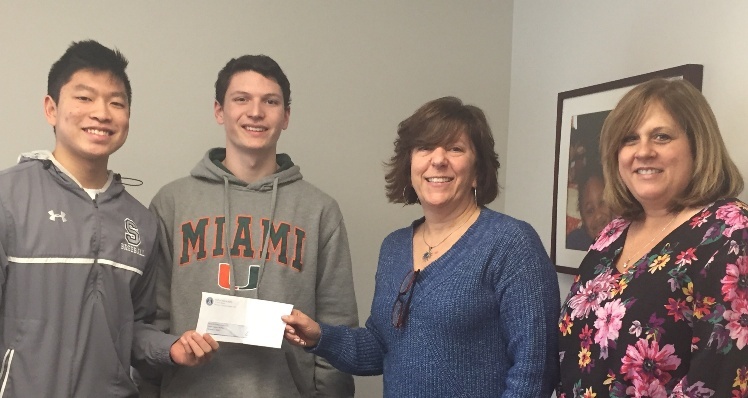 SLOBs delivers $1,000 to the Connecticut Humane Society of Westport. 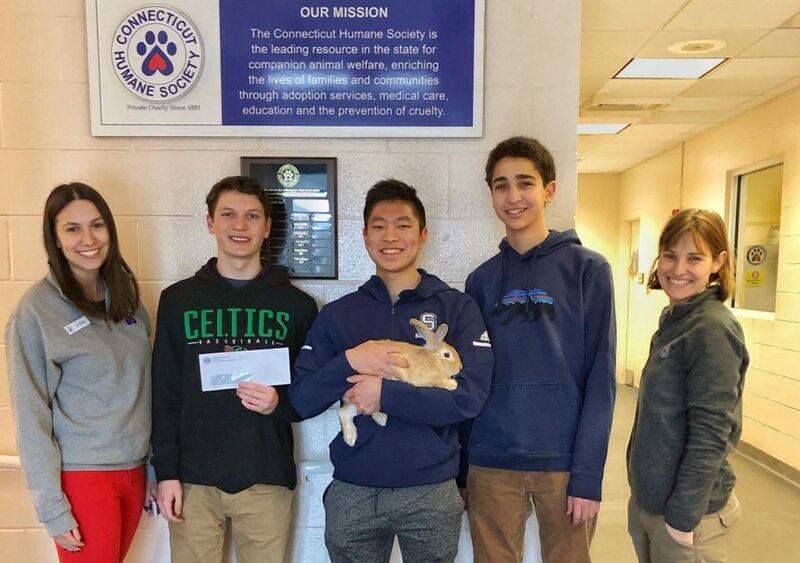 Pictured (l-r): Eve Basher (Major gifts manager at CT Humane Society), Kevin Greer (SLOBs Fundraising Chair), Andrew Moy (SLOBs President) holding Comet (Rabbit), Alex Massoud (SLOBs Treasurer), Bliss Kern (District manager, CT Humane Society). SLOBs President Andrew Moy and Fundraising Chair Kevin Greer deliver $1,000 to Family & Children’s Agency. The SLOBS of Westport did an amazing job with their fundraising event. Presenting us with a check in the amount of $1,000 is really incredible. FCA will use the money in the area (program) that needs it the most. We truly appreciate the effort put into this event and the support to our agency. Our mission is building better lives and strengthening our community by providing essential human services to children, families, adults and seniors. Your donation today is going to help build a better life for someone. We look forward to a continued relationship with the SLOBS of Westport.